Asianet Added Another Malayalam Movie To Their Library. 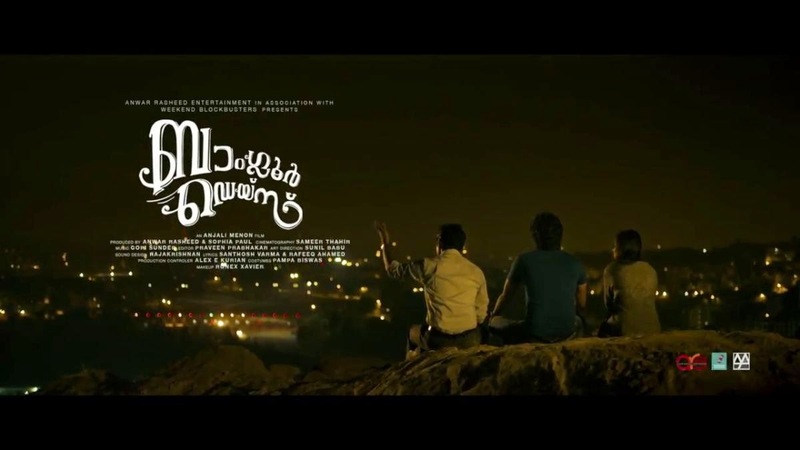 Bangalore Days is Written and Directed by Anjali Menon.This Malayalam Film Is Produced by Anwar Rasheed. Anwar Rasheed Entertainment and Weekend Blockbusters are banner Produced This Movie. It Stars Dulquer Salman , Nivin Pauly , Nazriya Nazim, Fahadh Faasil, Parvathi Menon, Nithya Menen, Isha Talwar in Lead Roles. Dulquer Salman Playing The role Of Arjun aka Aju. Nivin Pauly as Kuttan, Nazriya Nazim as Divya Prakash and Fahadh Faasil as Das. Parvathi Menon as Sarah, Nithya Menen as Natasha and Isha Talwar as Meenakshi. Bangalore Days is expected to Release On 30 May 2014. Asianet Grabbed Lot of Movies Like Ulsaha Committee, Ring Master , Om Shanti Oshana , Drishyam etc.